Last day to drop a 14-week course with a 50% refund of tuition and course-related fees. Course will appear with a W grade on the OTC transcript. OTC Springfield Campus, 1001 E. Chestnut Expy. Help Crosslines, a local food pantry, restock it's shelves due to an influx of need in our community. 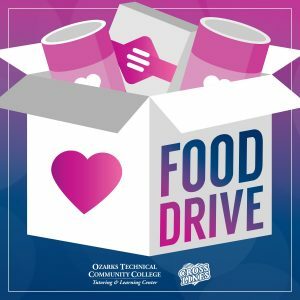 OTC will be collecting non-perishable, non-glass, in-date food items in the Jared Family Atrium. Look for the large bins to donate. Hola! Come to ICE 228 to play BINGO and celebrate early St. Valentine's day from 3-4 p.m. this Friday, Feb. 8 and celebrate . Free snacks and prizes!!! Please, join us!